You may have noticed that a couple of well-known brands are opting for more stripped-back approaches to their identities. Gone are the serifs, drop shadows and glossy effects; the latest trend is to remove everything but the essentials. 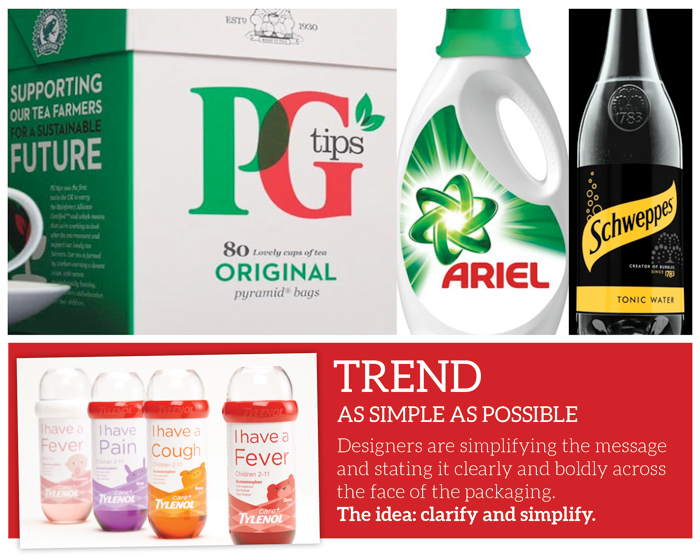 In the words of design guru, Dieter Rams, ‘good design is as little design as possible’. With more than 1,200 entries from 73 countries, the Lexus Design Award attracts students from all over the world hoping to win the chance to gain funding to turn their ideas into reality. Our congratulations go to Japanese winners AMAM for their Agar Plasticity – biodegradable packaging made from algae. Not a new concept but what makes it impressive is the research they’ve undertaken alongside scientists and within agar factories to create different grades of packaging. Next step will be to make the material tougher and waterproof. There is a focus on the longevity of the product, making items that live in your home more beautiful. Objects once shoved away in cabinets and now be proudly left in the open. According to figures from market research firm Mintel more than two in five (42%) of Brits aged 18-34 say they have drunk gin in the past 12 months. Among the over 45s that figure is just 27%. Beautifully designed bottles are helping to drive sales of Gin. 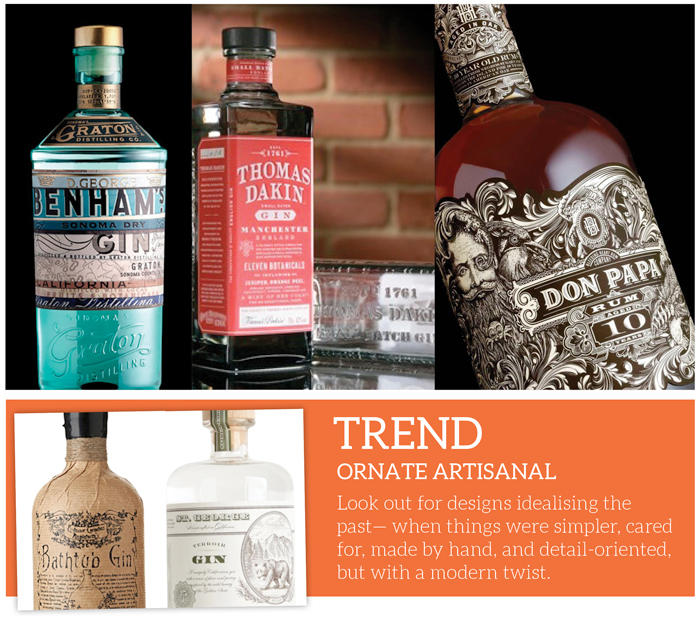 It’s well and truly shaken off its old fashioned image and embraced the trend for artisanal and vintage.